There were only two problems at the training today. One wasn't really a problem -- they kept filling a vacuum carafe in the conference room we were in with great Whole Foods coffee -- I had 5 big mugs during the day and I was pretty wired by the time we left. 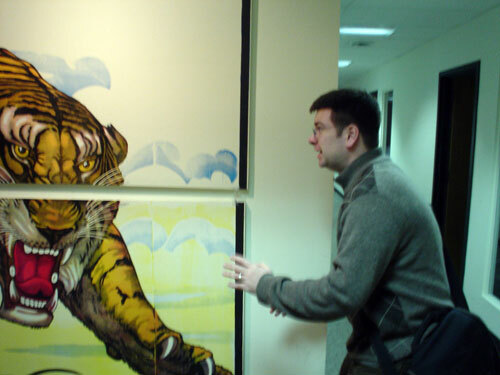 The other problem, of course, was the tiger.